The third Training School of the Action will take place in March 2018 in Tallinn, Estonia. The purpose of the Training School is to learn how to prepare metadata for publication in a union catalogue of early modern correspondence. Generously funded by COST Action IS 1310, the Under and Tuglas Literature Centre of the Estonian Academy of Sciences is hosting the third ‘Reassembling the Republic of Letters’ Digital Humanities Training School, in Tallinn. We invite researchers to submit applications to a Training School to be held in Tallinn from 13 March to 16 March 2018. The aim of the Training School is to teach participants to collate, standardize, and prepare for publication early modern correspondence metadata in a format that is compatible with a union catalogue in addition to meeting the needs and requirements of the contributing scholar’s own work and focus of research. The training sessions will be conducted by Miranda Lewis (Editor) and Charlotte Marique (Editorial Assistant) of the online database Early Modern Letters Online [EMLO], which is maintained by the Cultures of Knowledge project at the University of Oxford. Using tools developed specifically for metadata preparation, and in combination with standards that enable interoperability, participants will learn how to collate and structure epistolary metadata for publication in a union catalogue. Attendees will be shown how to take advantage of pre-existing, standardized early modern person and place metadata, together with relevant associated authority file references and links. The sessions will be tailored to help clarify specific issues and problems that arise in the course of work with epistolary metadata assembled from a wide range of sources and in pre-existing formats. All participants are encouraged to bring their own metadata (whether pre-structured, partially structured, or unstructured), but in special cases sample metadata can be supplied for training purposes. Sessions will be conducted in English, and supporting documents and guides in English and German will be available. Each participant will be required to bring a laptop for use during the sessions that will enable work with online tools and is capable of running Excel. Please note that tablets will not be suitable. Although a basic knowledge of Excel will be assumed, full training in all relevant spreadsheet work will be provided. A maximum of 12 participants can be invited. Applications are welcomed from scholars in all countries participating in the Action. This Training School is funded by a supplementary grant made available in the first instance to ‘Inclusiveness and Target Countries’, so if the event is oversubscribed preference will be shown to applicants from these countries. Also encouraged to apply are early career scholars, representatives from institutions with large holdings of early modern correspondence, and individuals prepared to help disseminate the taught epistolary standards, techniques, and tools in their scholarly communities. Preference will be shown also to scholars working on correspondences that intersect with the broad international republic of letters, but the selectors will hope to include representatives from a wide range of disciplines and correspondences. Prior to the Training School, each trainee will receive by email an affirmation letter stipulating his/her participation and grant. The grant is intended to cover the majority of the Trainees’ travel, accommodation, and subsistence during the Training School. Individual grants will average €800.00 and will be awarded at the discretion of the selection panel based upon on the country of origin of each Trainee and the total funds available. Invited trainees will be required to pay for their own travel prior to travel and for their accommodation and subsistence during the Training School. Participants will be reimbursed according to the COST Action guidelines after the Training School. a short description of the most relevant research project(s) in which you are involved (300 words), including a brief description of the metadata you could bring to the Training School and the correspondences with which you are working. Please use the subject line: ‘Application for March Training School’ in your emailed application. The deadline for the submission of applications is Monday 15 January 2018 Tuesday 30 January (deadline extended). The date of notifications for the selected participants will be Monday 5 February 2018. Inclusiveness and Target Countries: Bosnia and Herzegovina; Bulgaria; Croatia; Czech Republic; Estonia; Latvia; fYR Macedonia; Greece; Hungary; Lithuania; Luxembourg; Malta; Poland; Portugal; Romania; Serbia; Slovakia; Slovenia. We would like to congratulate our three COST Action members: Eero Hyvönen (Aalto University), Bruno Emanuel da Graça Martins (Universidade de Lisboa), and Patricia Murrieta-Flores (University of Chester) for being awarded funding in the 2017 DiD funding scheme! The Trans-Atlantic Platform for the Social Sciences and Humanities along with sixteen international research funders jointly awarded approximately (US) $9.2 million to international teams investigating how large-scale computational techniques may be applied to answering research questions in the humanities and social sciences. These teams will be pursuing research in numerous areas, including musicology, economics, linguistics, political science, and history. HJ-253524. Mapping Manuscript Migrations: digging into data for the history and provenance of pre-modern European manuscripts. Abstract: An international collaboration mapping the movement of pre-modern European manuscripts. The project links disparate datasets from Europe and North America to provide a view of the history and provenance of these manuscripts. Funders: Finland (AKA); France (ANR); United Kingdom (AHRC/ESRC); United States (IMLS). Principal Investigators: Toby Burrows (University of Oxford); Eero Hyvönen (Aalto University); Lynn Ransom (University of Pennsylvania); Hanno Wijsman (Institut de recherche et d’histoire des textes). HJ-253525. 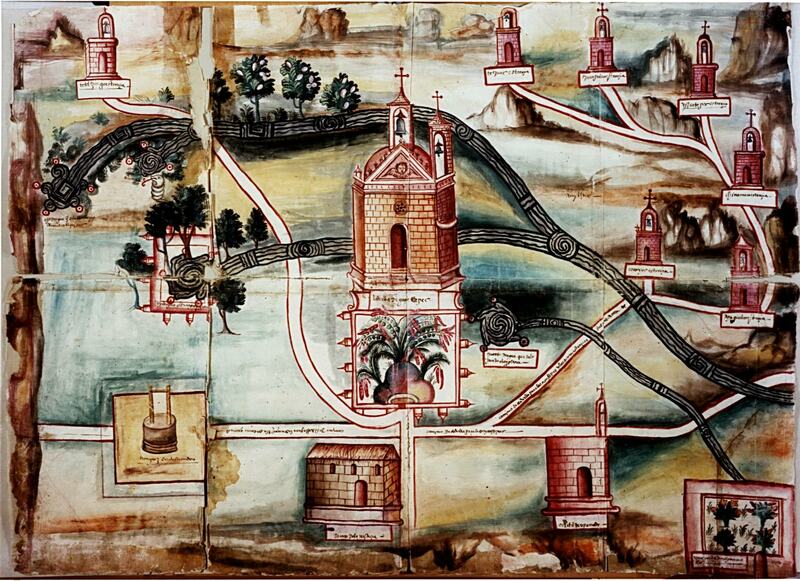 Digging into Early Colonial Mexico. Abstract: An innovative international collaboration to study Relaciones Geográficas, a 16th century compilation ordered by the Spanish crown that gathered vast amounts of information about the New World through multiple records, both in Spanish and indigenous languages. Using a Big-Data approach, this project applies novel computational methodologies to study this important source for the colonial history of America. Funders: Mexico (CONACYT); Portugal (FCT); United Kingdom (AHRC/ESRC). Principal Investigators: Diego Jiménez-Badillo (Museo del Templo Mayor, INAH); Bruno Emanuel da Graça Martins (Universidade de Lisboa); Patricia Murrieta-Flores (University of Chester). 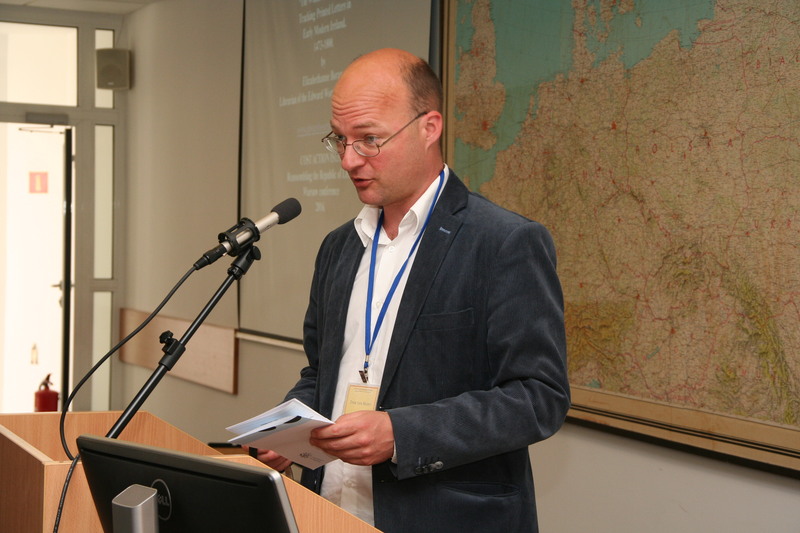 The European Research Council (ERC) has awarded a Consolidator Grant of 2 million euros to one of our COST Action members, historian and Latinist Dr Dirk van Miert, to conduct research into the ideal of sharing knowledge within early modern scholarly networks in Europe. The Consolidator Grant will allow Dirk van Miert to set up his own team of researchers and study the pre-history of Open Science during a five-year period (2017-2022).